The Bryce Dessner-curated MusicNOW announced the line-up for the 2011 edition of their festival, taking place May 13-15 in Cincinnati. Friday will feature Shara Worden (of My Brightest Diamond) performing with ymusic as well as Megafaun collaborating with jazz collective Fight the Bull on 'Sounds of the South. ' Saturday at Memorial Hall will see a trio of performances from Owen Pallett, Tim Hecker and Little Scream. 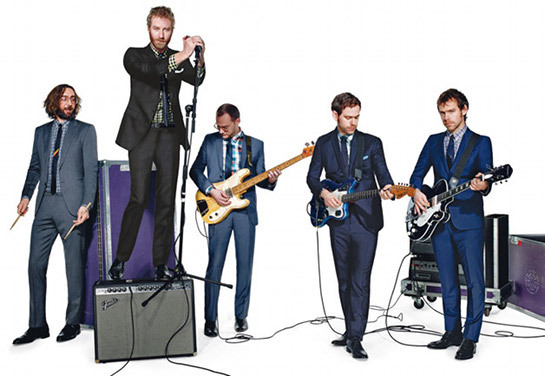 On Sunday, the festivities move to the Cincinnati Music Hall where the National will play their first Cincinnati show since 2008 with support from Sharon Van Etten. Astute readers might notice that the festival's dates directly conflict with the Nelsonville Music Festival. While I'm saddened that I will once again be missing out on attending MusicNOW, I see no reason why two musical events such as these can't happily coexist. Cincinnati is a three hour drive away from Nelsonville—one could conceivably catch The Flaming Lips and Yo La Tengo on Saturday and then make a short trip to see the National the following night. I'm just happy that our state is supporting such a great amount of quality live music, and even more pleased that it's happening in unique festival settings. Tickets for MusicNOW go on sale March 15, and you can read my review of the 2008 edition of the festival here.